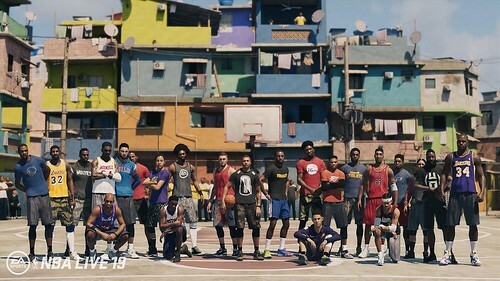 Posted on Instagram, this screen appears to showcase a new outdoor venue featuring a bevy of current and former NBA & WNBA players along with NBA Street characters together. Last edited by cdj; 06-08-2018 at 11:36 PM. Still boggles my mind that EA has not attempted to remake NBA Street Vol 2. Just not interested in an NBA game. Still dreaming about college hoops.